Esther Aguilera personifies the American dream. Although she was born in Jalisco, Mexico, Aguilera’s parents brought her to California before her fifth birthday. She and her five siblings formed close ties as their parents worked two and sometimes three jobs to make ends meet. Times were tough, but all six Aguilera children went to college. Aguilera studied public policy before landing her first job in Washington, DC, in 1990. In the 22 years since, she’s led teams on Capitol Hill and consulted Fortune 100 clients. In 2004, she accepted the top job at The Congressional Hispanic Caucus Institute (CHCI). 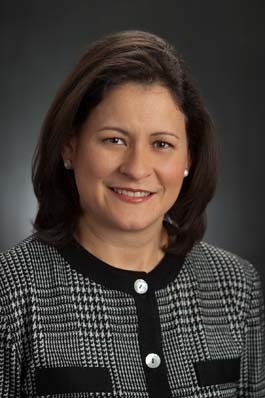 Aguilera is now a top executive leading the growth of a large nonprofit. 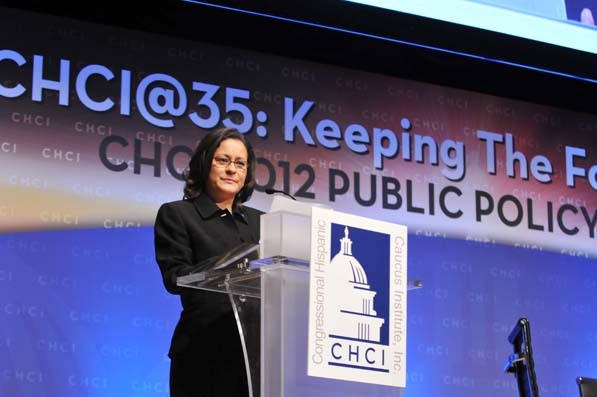 In her tenure as president and CEO, CHCI has doubled revenue and grown to serve more Latino youth than ever before. It was a profound dissatisfaction with the status quo that led a young Aguilera into the world of policy. “When I looked at the profile of those leading the country, I didn’t see people who reflected my experience,” she recalls. Leading CHCI allows Aguilera the unique chance to blend her professional experience and personal passion while leveraging varied skill sets. Since day one on the job, she’s focused on putting together a dynamic growth plan. CHCI is known as the nation’s premier Latino youth leadership development and educational organization, but Aguilera is looking to realize the group’s full potential. She’s led CHCI to double its operating funds from $4 million to $8 million in six years. The increase in funds means CHCI can reach more students. While it once reached just more than 50 students annually, the organization now has 1,600 students involved in various leadership programs. Esther Aguilera believes many Latinos just need a chance to shine and CHCI is designed to provide that opportunity. “We’re really changing life trajectories. That’s what we do,” Aguilera says. The growth comes from a good team. “You can’t have good growth without good people,” says Aguilera, who relies on a strong vice president and senior level executives to direct their areas and help take CHCI to the next level. Additionally, Aguilera looks for opportunities to keep founding members involved—CHCI was started by Hispanic members of Congress who still play a role in its board and advisory council. “They see this organization as a way for them to help usher in the next generation of Hispanic leaders who need help overcoming the barriers to leadership or public office positions,” Aguilera says. The organization also benefits from leadership in other sectors including nonprofit, union, and corporate. As Aguilera grows the organization, she seeks to keep it rooted in the founders’ three original pillars: educate, empower, and connect. CHCI’s education and leadership programs—internships and fellowships—unite Latino students from all over the country in DC where they build the skills necessary to make a lasting and significant impact on the United States. 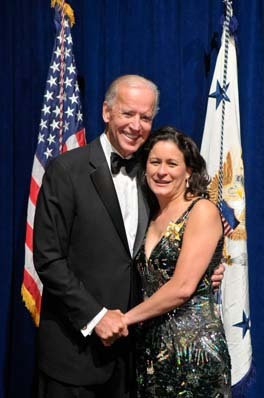 Aguilera with Vice President Joe Biden at the CHCI 36th Annual Awards Gala. As CHCI’s reach grows, so will its brand. Behind Aguilera’s leadership, the group has increased its brand equity awareness. A brand alignment survey, both internally and externally, helped refocus the strategy. Working with her board, Aguilera then restructured the organization’s bylaws, replacing a 70-member board with 25 seats and an advisory council. The new, leaner model allows better engagement and prevents burnout. Most important to CHCI’s development is the growth of its Congressional internships and public-policy programs. “We offer the most prestigious internships, and there is nothing else like it for the Latino community,” Aguilera says. The programs—which have tripled over the past four years—put candidates through a competitive application process before selected participants work directly on Capitol Hill. CHCI covers travel and housing for the students—many of whom come from low-income families. “Our internships and fellowships open up many avenues and worlds for the participants,” Aguilera says. The students work for four days and spend one day at CHCI for leadership and skills-building training. For her efforts to unite and serve the Latino community, the Office of Personnel Management’s Hispanic Council on Federal Employment has asked Aguilera to advise on removing barriers Latinos face in the federal workforce—barriers she says exist in every sector. “I see a lack of Latino representation, especially at senior levels,” she explains. While the representation is not there, the talent is. For Aguilera and CHCI, part of the solution lies in keeping the pressure on to guide meaningful change. “We want to make sure our government and our workforce reflects our society,” she says.